1-2 anglers. Two full days guided float trips and three night’s lodging at the Blue Ribbon Run on the Stillwater Private Fully Furnished Apartment Located on the Stillwater River (Lodging for up to four and additional guides/boats available upon request). Meals not included. 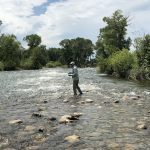 Our guided all-inclusive fly fishing trip with lodging includes everything you need for a successful few days on the river. 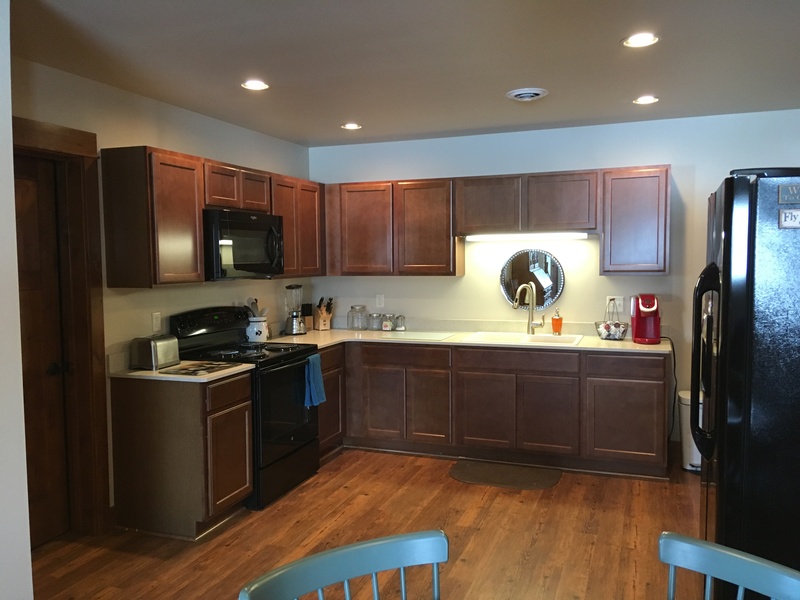 You'll stay at Blue Ribbon Run on the Stillwater Private Fully Furnished Apartment Located on the Stillwater River. 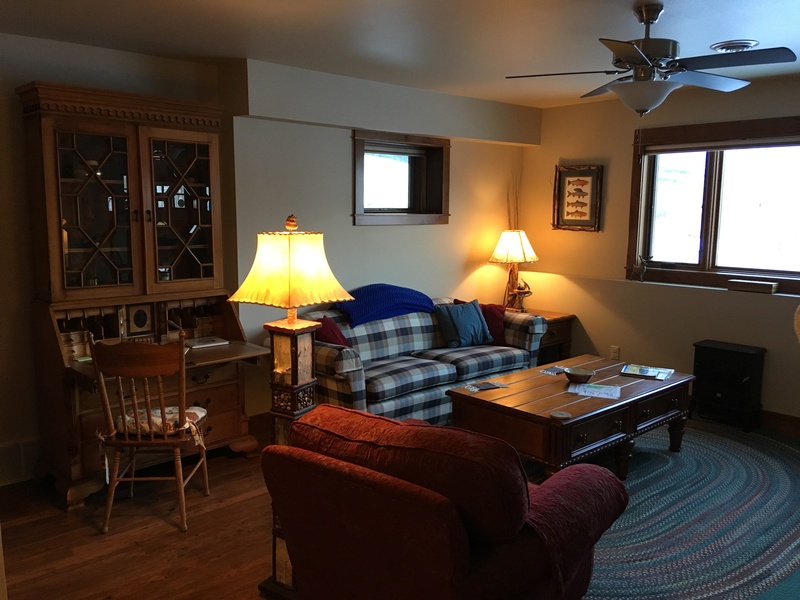 Lodging trips are priced per person to include lodging as well as the use of all gear, flies, leaders, tippet, tackle, shuttle transportation, and transportation to/from the river. 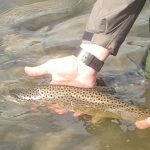 If you're fishing in the spring or fall, or even early summer, breathable waders are a must, along with the technical clothing to go along with the system. Summer time temperatures can get well into the upper 90s allowing for wet wading during the day. A good rain jacket is essential also. Polarized sun glasses: polarized lenses are a must! Rain gear (thunderstorms can happen at any time). Fleece jacket and pants, particularly in the spring and fall and later in the summer. Wet wading gear-quick dry pants or shorts. Fishing license: you can pick this up ahead of time or at the shop the day of your trip. 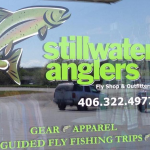 As a full service retail fly shop and outfitters, Stillwater Anglers provides trips tailored to meet your individual needs and desires. We give you a total quality outdoor experience. Basic fly fishing instructions are included, and additional lessons can be arranged. We have guides available who are dedicated to working with avid anglers, novices, and children alike. 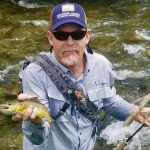 Standard trout fly fishing equipment is all that is required for a fly fishing trip to to south-central Montana. If you don't have your own rod/reel or boots and waders - don't worry! Use of this equipment for the day of your trip is included in your trip cost. Standard trout reels with a minimum of 50 yards of backing and weight forward floating lines for all dry fly and nymph rods/reels. A 15' sink tip line is also recommended for your streamer rod. Your guide will furnish all necessary tackle for the day. If you would like to purchase any of these items for fishing on your own during your visit, you can do so at the shop and we will be happy to make some recommendations for you. 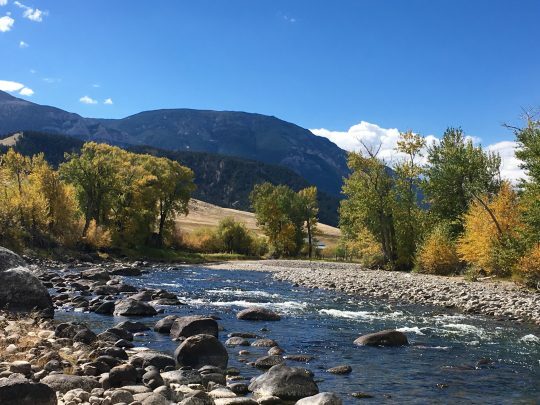 Trip includes the use of all gear, flies, leaders, tippet, tackle, non-alcoholic beverages, shuttle transportation, and transportation to and from the river. Full day trips also include lunches and snacks. The day starts and ends at a pre-arranged location, to and from which we shuttle you to the river. You will likely be on the river fishing by mid-morning. 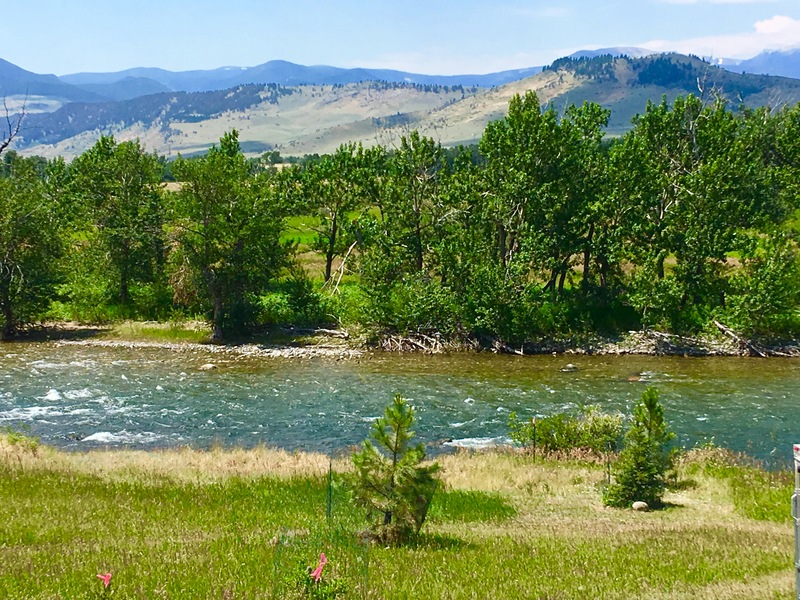 If yours is an all-day trip, we stop mid-day for a streamside lunch and the opportunity for additional wade fishing, relaxation, and nature watching. 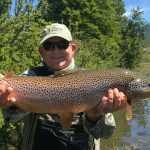 We mainly fish the Stillwater, Yellowstone, and Bighorn Rivers, but trips can be made to other waters out of the Columbus/Stillwater Valley area with prior arrangements. While our focus is on fly fishing, spin fisher persons and non-fishing passengers are also welcome. Depending on the river fished and the prevailing water conditions, we use either rafts or drift boats for our guided float trips. These crafts comfortably accommodate two anglers, all of their personal belongings, extra gear and tackle, plus a cooler for lunch and beverages. During the trip, we practice catch and release plus other conservation measures and practices. Gratuities are not included in the prices listed above. Tipping your guide your personal choice, based on your degree of satisfaction with the guide's services. Generally, the amount should reflect your guide's effort, helpfulness, attitude and courtesy. If you would like guidance on determining a gratuity we would be glad to help. A 50% deposit is required to reserve each day. Deposits can be made using credit card, cash, check or money order. 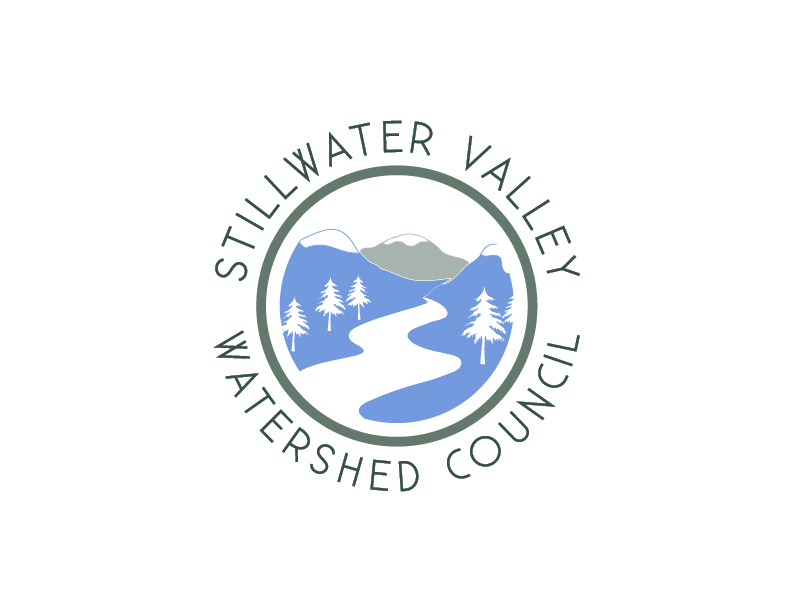 Once a deposit is received by Stillwater Anglers, trip dates are scheduled and guides and boats are reserved. The balance due is payable no later than upon completion of the trip(s). Deposits will be refunded in full if the trip is canceled at least twenty one (21) days prior to the scheduled trip date. Deposits will be forfeited if the trip is canceled within twenty one (21) days of the scheduled trip date. Deposits may be applied towards a new trip date if rescheduled at least twenty one (21) days prior to the originally scheduled trip date. Cancellations within a week of the trip date without a reschedule date booked will be charged full fee. We understand that unforeseen circumstances can lead to canceled trips, and we reserve the right to make refund decisions on a case by case basis. Your deposit confirms acceptance of our rate and refund policy.